Western Province’s South Fly MP Aide Ganasi died at the Pacific International Hospital in Port Moresby according to political aides. Government Minister Justine Tkatchenko confirmed in a post on social media that the MP died this morning and Prime Minister Peter O’Neill visited the hospital to pay his respects. “The Deputy Speaker of Parliament, Hon Aide Ganasi has passed away this morning at PIH. It's hard to believe as this Honorable Member was a healthy fit person. The Prime Minister is on his way to the Hospital now to pay his respects to the Western Province Leader,” he posted. The PM extended his condolences to the people of South Fly and the family of the local member and said the late politician was a friend and served his province well. “His province was challenging and his good work is evident, we mourn the loss and we have lost a colleague and a friend,” he added. 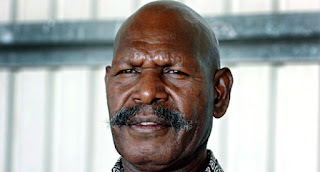 Former PNG Defence Force (PNGDF) commander, Major General Jerry Singirok (retired), said in a posting on social media that the late MP was an officer cadet in 1981 after enlisting with the army and is a mechanic by profession. He was commissioned as an officer in the PNGDF and together with the Vanimo-Green MP Belden Namah were two commissioned former officers in parliament until the passing of the former this morning.